The workshops at the Center for Cartoon Studies are over and boy howdy those folks were super-duper talented and fun. 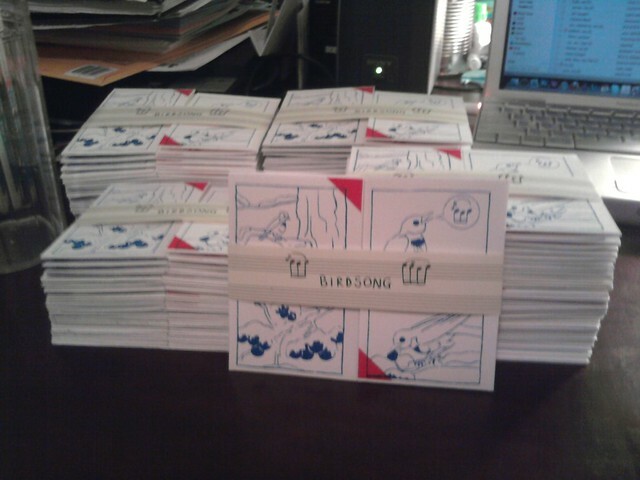 Made some new aquaintences across the nation, made some books, made some comics, and went tubing for the first time! During the workshop I was a TA but was also working on a mini comic for the anthology Bailliwik that is run by Surabhi Ghosh and Rob Hunt. Here is a sneak peak of my 4 color screen printed, 16 paneled, never-ending book. . Earlier this summer I was in Chicago for Joey and Karina's wedding, but while I was there it was the 4th and Chicago had a downtown Where's Waldo event! 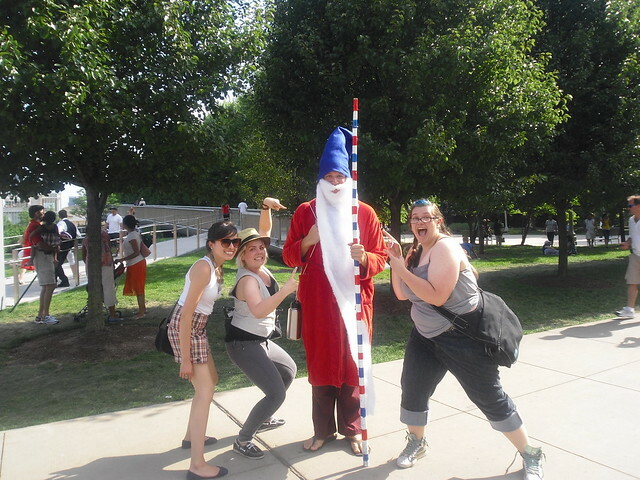 from left to right: Michelle, Caitlin, LONGBEARD THE WIZARD, and me. We found him, the girlfriend (Wanda) and the bad guy (Odlaw) but sadly we ran out of time before we found Waldo and the dog, Woof. 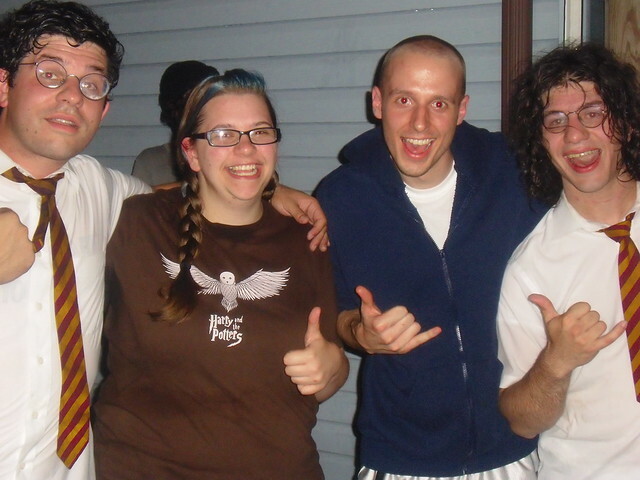 Not only did I get to try to find Waldo, but since I was staying with my wondertwin, we were lucking enough to go see.... HARRY AND THE POTTERS! And thanks to my friend Josh Kramer for asking Joe to call me on my birthday, and he remembered me! Hooray for updates! 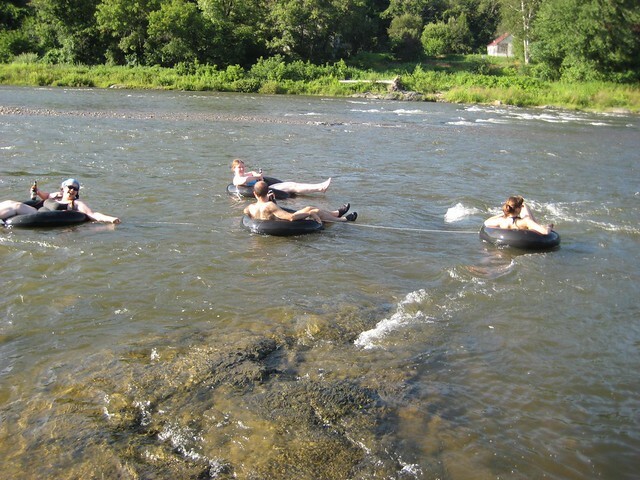 Hooray for tubing!! Hooray for Waldo!!! Hooray for Wondertwins!!! !